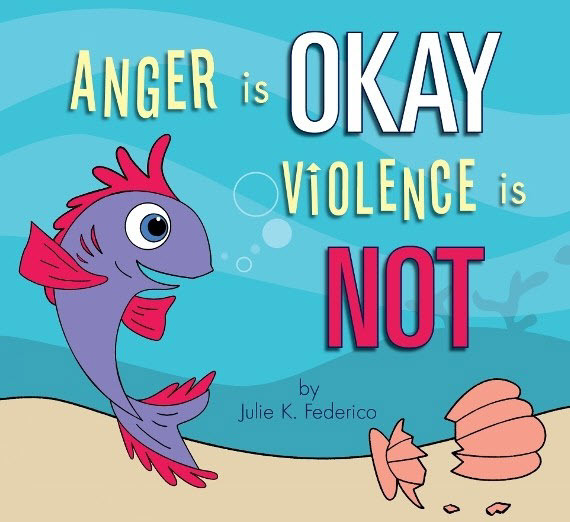 Julie Federico author of Some Parts are Not for Sharing and Anger is OKAY Violence is NOT writes a monthly column for the online magazine O.A.B.I. Voices United in Global Unity Against Abuse. The magazine has a global readership and is available here. Julie’s column is called “Julie’s Corner” where she writes about child abuse and domestic violence prevention. Federico credits the women at Blue Ink Review for the Douglas County Library ordering several copies of Anger is OKAY Violence is NOT. Blue Ink Review makes book recommendations from their pool of authors who have received a review from their company.